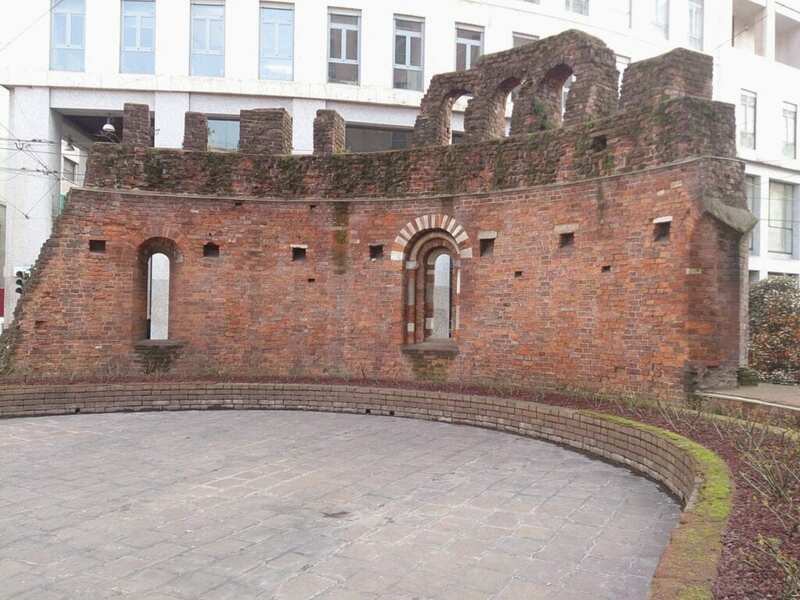 It’s a curious sight to see the circular wall standing in the middle of the Piazza Missori square. Trams going by and people rushing into the underground metro. If you walk behind it, there is a dark staircase to descend, it almost seems as if you shouldn’t go there, but then you see a small sign inviting you in. The only part of the San Giovanni in Conca church remaining is the external circular wall of the crypt and the underground crypt chamber. It is the the only remaining example of Romanesque crypt in Milan. It was once a huge church that occupied the entire plaza. It was destroyed in the name of city development, but now historians and the people of Milan are trying to preserve as much as they can of their heritage. Other remains of the church such as the mosaic pavement and statuettes are found in the Archaeological museum of Milan and some of the artwork can be found at the museum at Sforzesco Castle. The original facade was preserved and is now the facade of the Chiesa Valdese in Via Francesco Sforza, 12/a. You can go down into the crypt chamber, entrance is free, donations are accepted. The room is a series of arches supported by decorative columns. There is one column that for some unknown reason is upside down! There are volunteers from Touring Club Italia which are happy to answer your questions and point you to other sights and monuments.